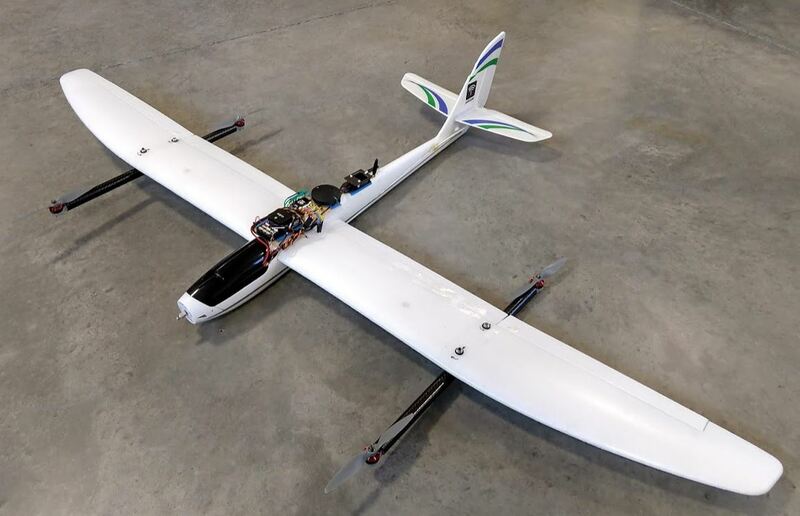 I’m looking for param files for elevator-throttle-rudder only aircraft - referred to as “ETR Plane” in Ardupilot. – Aircraft such as Parkzone Radian (not pro version), and the Lynx UAV. I’m especially interested in recent param files that activate and use the “RUDDER_ONLY” parameter. I am a longtime RC pilot and have just gotten my first autopilot – a Pixhawk 2.1/RFD900/MissionPlanner. I am installing it in an old Radian (rudder-elevator only) and am using my JR9503 for manual control. I watched the 9-video series by Painless360 and have been using the online Ardupilot resources [WHICH ARE EXCELLENT] by the way. I have everything ready to go with appropriate flying modes programmed. I’m currently plugging in the rudder servo into the aileron channel and FBWA seems to be behaving appropriately on the ground. I did try to use the RUDDER_ONLY parameter and changed the RCMAP_YAW, KFF_RDDRMIX, and YAW2SRV_DAMP to the values described on the website. However, I got some strange behavior on the ground and I’m not sure if KFF_RDDRMIX is working – so I went back to just plugging rudder into the aileron port. Anyway, rather than asking someone to take time to hand-hold a noob, just getting some similar param files (newer the better) should be enough to help me sort this out. I have a Radian (non-profit) with ArduPlane. I started out with rudder plugged into aileron output, but I experienced yaw oscillations. To get around that I went back to using the rudder output with yaw damper enabled, and set a high value for KFF_RDDRMIX. I’ll post my parameter file tomorrow. It’s always good when learning something new to be able to refer to something that is known to have worked. Sam, any luck uploading that parameter file? I had my first flights today. All in all it went really well. Used Manual, FBWA, and Loiter – with upper level winds at least 15 knots. I got a bit of tail wag in FBWA and Loiter, but not too bad. Anyhow, I’d be curious what you are using for your PID values and your yaw damper. Thanks for letting me know that you had problems with just using the rudder in the aileron channel – that saved me some time and it reassured me that other people were successfully using the RUDDER_ONLY parameter. If you’re experiencing some wag in FBWA and other stabilised modes, you should do some flying in Autotune mode. It’s a flight mode that behaves similarly to FBWA, but tunes the PID values by reacting to aircraft movement. Yeah I’ve seen a videos for autotune. Will it work just as well for a rudder-only aircraft? – i.e. can it tune the yaw damper concurrently with the roll PID values? That, I’m unsure of. I’ve never set up a rudd/elev plane for arduplane, I’ve only done ail/elev, full 4ch, and flying wings. Best case, it does tune properly. Worst case, it tries to tune the roll values than you aren’t even using, and has no effect on flight. Either way it’s not going to hurt anything to try it, unless I’m missing something major. The yaw damper won’t be tuned by autotune mode - only roll and pitch PIDs. I got the plane flying great with RUDDER_ONLY enabled. It worked well with my guestimated PID values and then I did an autotune which tightened them up a bit more. Since then, I’ve swapped in a set of Radian Pro wings as well as four T-motor motors with a 4in1 ESC. Did my first hover and it went well. Ardupilot is effin’ rad. I love it! Sounds awesome Rob. Get any video? I don’t think I’ve seen a VTOL Radian before! Here are some pics Sam. I’m only using Qstabilize indoors for now. It is hovering great. The only issue is the torsional softness of the wings. However, they actually twist in a favorable direction when a yaw command is inputted so I’m not going to stiffen them up just yet. It’s actually quite similar to how yaw cyclic works on the V-22 Osprey. I’m having battery issues and I need to do a current check to see if the onboard ammeter is off or if I am drawing more power than I think. Telemetry says I’m only drawing 11 Amps, but the batteries are getting warm and showing much more rapid voltage drop. The batteries are low-C rated, 9-year-old Blade 400 heli leftovers so it’s quite possible that they are the problem. Will measure current directly tomorrow. I had a balsa Riser 100 electric glider flying ETR a couple years back. With a Pixhawk, I tried rudder only mode and plugging rudder into aileron output. As I remember, using the aileron output to rudder worked fine. I attribute that to the polyhedral inducing roll pretty proportionally. After autotune, it flew great! That was a college team project, so had to leave the airframe behind. I might be able to dig up param files if you would like to see 'em. PS: I think I recognize the soaring site in you profile picture. Small world! VTOL flying is going great after fixing a few typical problems related to airframe flex and magnetometer position. I’m the proud owner of the world’s most complicated Park Zone Radian! I’m pretty much set, so no need to see your parameter file. I just needed some initial hand-holding to make sure RUDDER_ONLY was working for other people. 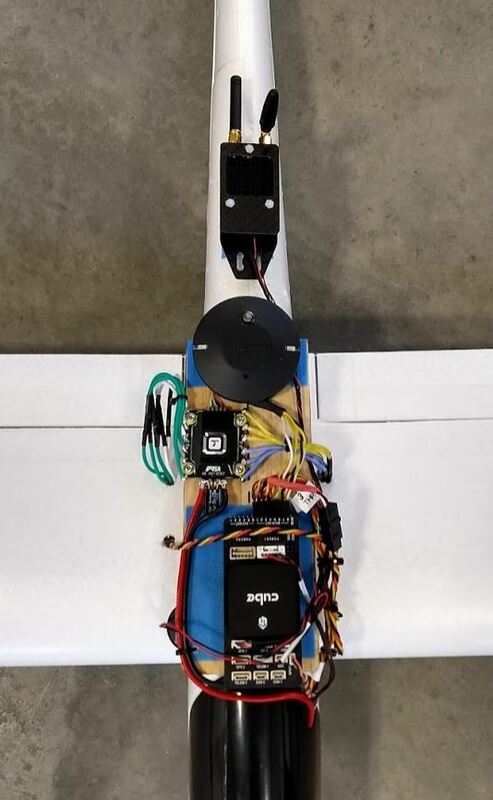 (I know that rudder/elevator planes are a small subset of Ardupilot users) I got the roll PID tuned and used a bit of yaw damper on top – very happy with it. Yeah, the flying site in my picture is the east ridge overlooking Hood River, OR – my favorite gliding spot. Bald Butte is good too, but landings can be a little … interesting.